The computer control motor excitation device (excitation control device) adopts thyristor (SCR) three-phase bridge rectifier, DSP microcomputer digital constant voltage excitation, constant current excitation and constant power factor excitation control. 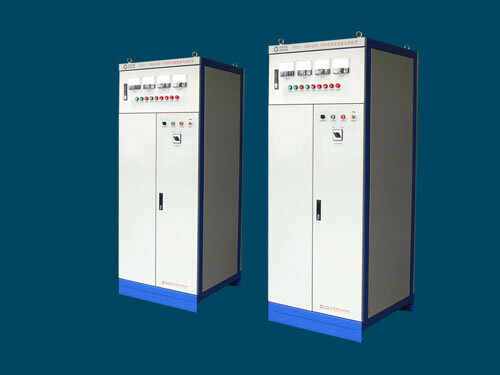 With quick dynamic response speed, high control accuracy, stable and reliable performance, this computer control motor excitation device (excitation control device) can be extensively used as self-excited generator excitation power supply device of 6300V, 10KV and small and medium hydropower station and thermal power plant. 1. The computer control motor excitation device's master controller adopts DSP computer digital trigger, current and voltage close-loop regulating control. It is of fast response speed and no overshoot. 2. 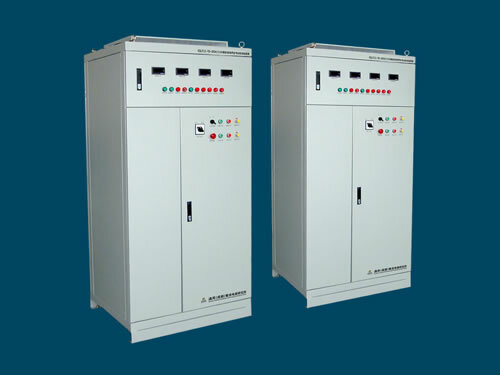 This excitation control device has many protection functions: over voltage of generator stator voltage, over excitation, lack excitation, magnetic loss, quick fuse, SCR rectifier components, over temperature of excitation rectifier transformer and overheating of wind machine and alarm protections. 3. The computer control motor excitation device can display, store and record working excitation current, excitation voltage, power factor and historical time curve in time. 4. According to the customers' requirements, we can configure CAN BUS, PROFIBUS, ETHERNET, RS485 and RS232 optical fiber communication to realize remote control or monitoring of this excitation control device. 5. We can configure touch screen and PLC operation control system according to customers' requirements. Chengdu General Rectifier Research Institute is a professional manufacturer and supplier of computer control motor excitation device in China. In addition to this excitation control device, we also produce computer control synchronous motor excitation device. Our products have been exported to USA, Germany, Australia, Singapore, India, Brazil, Iran, Vietnam, Kazakhstan and Malaysia, etc.